The land that this building was on is the site of the Elliot Park 2008 Archaeological Dig. 730 was a 25x40x18 foot wood frame dwelling built for $2600. Given the proximity and same time, cost and an identical footprint on the 1912 Sanborn map, it is appears that it was identical in design to 726 17th Street. It was laso built with plumbing but not electricity, getting electricity at the same time as it's twin, in 1920. 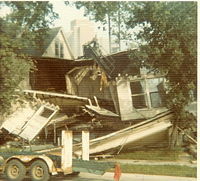 It had only minor minor work until 1961 when the front porch was repaired with a "new core foundation" at a "minimum 3'6" below ground." 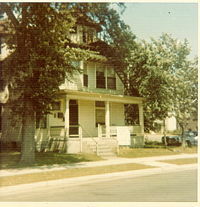 The 1972 wrecking permit lists it as a single dwelling unit for 6 residents. The building was owned by Wagner's company until at least 1961.